8:45 am Meet at the Hampton Jitney stop at 44th St & 3rd Ave.
9 am Hampton Jitney will depart Manhattan. 11:35 am Arrive in Greenport. 12 pm We will divide the group in 2. Half of the group will go to Little Creek Oyster Farm’s new U-Shuck market, where each person will receive one dozen oysters to shuck. If you aren’t confident about shucking or don’t know how, this is a great opportunity to learn! The other half of the group will go on a 45 min harbor cruise on the Glory. 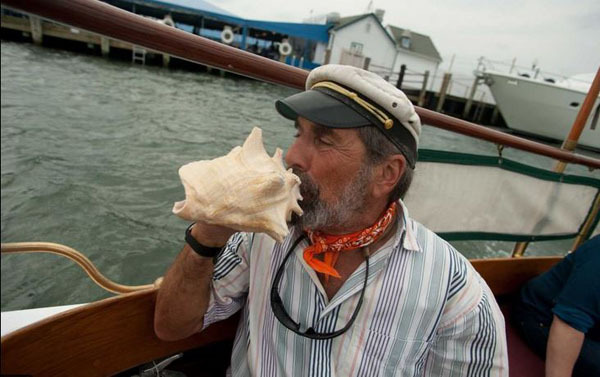 Captain Dave is definitely an old salt, and he can’t wait to share his stories and passion for crassostrea virginica, and his method for super safe shucking with us. 1 pm I will be picking up pizza from Rolling in Dough and bringing it to the market. We will have a light lunch on the picnic tables there. 1:30 pm The second group will attend the harbor tour, while the first group shucks their oysters. 8:30 pm Arrive in Manhattan. 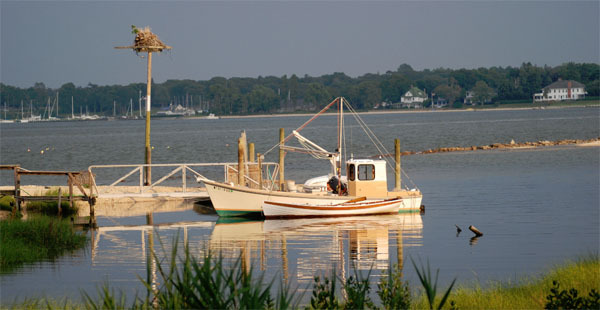 The cost for this trip will be $101.75, which includes transportation to/from Greenport, a dozen oysters at the Little Creek Oyster market, a harbor tour on the Glory, pizza lunch, and a tour and sampling at Widow’s Hole. We have 18 spots available, so if you’re interested, sign up now because historically farm trips have been very popular. Note: There will be no refunds for this trip, so please be confident you can make it before signing up. Please bring your own water, camera, sunscreen and feel free to bring extra food/drinks for yourself or to share. The Osinskis have encouraged us to bring wine to Widow’s Hole. 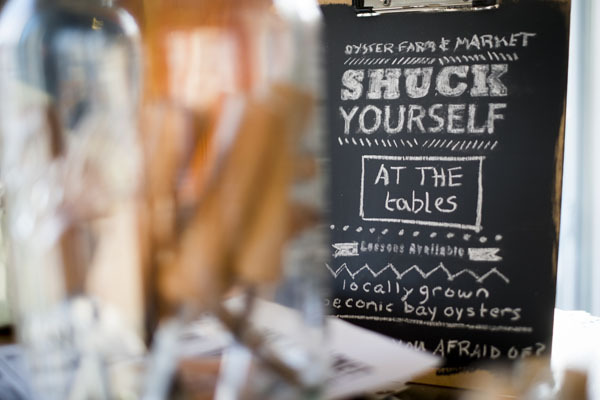 You’ll also have the opportunity to order additional oysters at the market if you’d like.